The City of Kings is a cooperative adventure roleplaying board game for 1-4 players in which your character is tasked with tactically exploring the hazardous world surrounding the City of Kings, trading for vital resources in nearby villages, and battling your enemies whilst uncovering a story of a world imperiled. Watch our chat with designer Frank West at Gen Con 2018. Watch as we roll up our Skyborn - a Zenith Order Monk and Hamanu - and teach you how to create a character for Overlight, the new RPG from Renegade Game studios. Let us show you how to play 5 Minute Chase from Board&Dice! Watch as Anne Richmond and Emily Floyd play a lovely French dexterity/balance game called Catch the Moon from Bombyx! So you've bought your Player's Handbook, Your Dungeon Master's Guide, and Monster Manual for Dungeons and Dragons. You've thumbed through all the amazing campaign guides from Wizards of the Coast. What are these other books you're seeing at your FLGS? The Sword Coast is a region of Faerûn in the Forgotten Realms that comprises shining paragons of civilization and culture, perilous locales fraught with dread and evil, and encompassing them all, a wilderness that offers every explorer vast opportunity and simultaneously promises great danger. This book serves as a campaign setting guide for DM's but also provides several new backgrounds and options to help players further customize their characters. Learn about some of the most iconic monsters in the Forgotten Realms from the esteemed loremaster Volothamp Geddarm. As a Dungeon Master, this book provides even more background on the behaviors and cultures of these villains so that you can infuse your tales with infinite depth when it comes to beholders, mind flayers, and the yuan-ti, as well as classics like orcs, gnolls, and kobolds. This book also opens up new racial options - previously only thought of as monsters - to players on the other side of the table. If you've always wanted to play a goblin, orc, or firbolg, you'll need this book to roll up your new character! This is Dungeons & Dragons' first major expansion for fifth edition and it is chock full of new rules and options. This is the most recent release from Wizards of the Coast and it reads very similar to Volo's Guide to monsters. We covered some of our favorite featured foes already! This book provides you with more insight into demons, devils and denizens of the Underdark such as drow, githyanki, githzerai, and duergar. It also provides new character races and personality trait tables for character creation for the player perspective. There are further background options for tieflings and elves and more otherworldly choices for character races like githyanki or githzerai. So you've had a wet erase grid for a while and you're ready for some illustrated terrain - but not just any terrain; reincarnated terrain. You've likely seen these in your FLGS and personally I used to just ignore them - I already have a grid to work on. Then I got a chance to open one of these and realized how much I had been missing out. These packs are full of illustrated puzzle pieces in the shapes of curved hallways, staircases, cavernous dining halls, and more. This means you're not drawing a dungeon onto a grid, but actually constructing the dungeon out of these shaped tiles. They come in three varieties: Dungeon, Wilderness, and City. You can mix and match all these options to create thousands of unique maps that span multiple environment types. Imagine being a dungeon master with little time to plan and writer's block. You toss the setting appropriate tiles into a bag and then pull them at random to create your layout and reignite your inspiration for the session. Of, of course, you lay them all out on the floor and carefully construct a lethal temple to challenge the adventuring party. The options are truly endless. I seriously need to get my hands on every one of these. Rycin (who was a street orphan with no knowledge of his parents) grew into a life of swindling and thievery. During one act of larceny, he was caught in the act by a hermetic wizard whose home he had invaded. Rycin killed the old man, who seemed to have very little contact with the outside world. Rycin assumed his surname, becoming Rycin Pendragon, and had stolen an old and well-used tome, from which he began to teach himself the ways of magic, hoping to use these newfound skills to become more effective at his natural trade-- a smuggler for hire. Recently, upon taking a job from an underworld crime lord in order to pay off a financial debt to him, Rycin was tasked to find an ancient and prized relic. But his trail lead him to the underdark, where he was captured. It was upon this, that Rycin had concluded that he was set up, and double-crossed, as punishment for his outstanding debt. Broke, hunted and vengeful, Rycin now finds himself at ground-zero of his life’s story, but with unexplored powers of magic as his new ally. Han Solo (Star Wars)- orphan, rogue, smuggler for hire. Always looking over his shoulder, underground. Here’s a guy who has a job to do – Never mind if it’s above-board or not. He doesn’t ask questions, he completes the mission and gets paid. Stormshadow (G.I. Joe)- Here’s a guy who’s shrouded in shadows. His origins obfuscated, his motives mysterious. When his knowledge hit a glass ceiling, he killed his master, and became ronin. Indiana Jones (Raiders of the Lost Ark)- Trained in classical studies, but with an unquenchable drive for fact (not ‘truth’), Indy soon learned that the ancient artifacts that he unearthed held arcane powers that could sway the struggle between the sacred and profane. 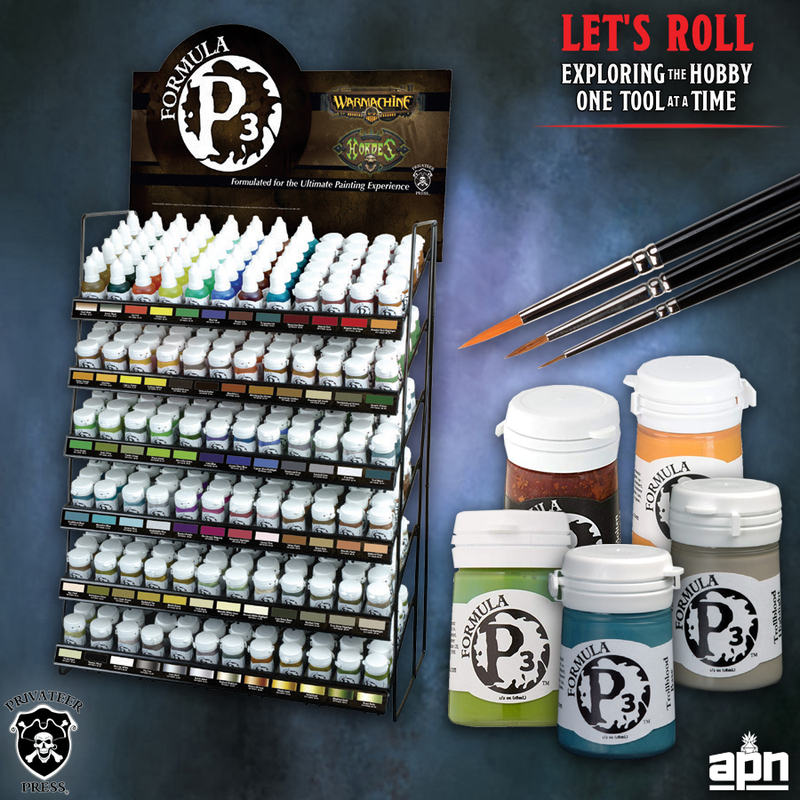 Do you want an arsenal of pawns for your RPG's? We can't recommend Paizo's Pathfinder Pawns enough when it comes to volume, variety, and cost! The NPC codex is fantastic for all of your humanoid needs, whether you're letting your players choose one to represent them or you need to table a hoard of cultists to face off against their heroes. You'll find all the most common races represented - including halflings and gnomes - of all classes/genders. This is some of the best money you can spend if you're not ready to dive into miniature collecting and the boxes work for easy storage that fits right on your shelf next to your rule books. Are you looking for monsters or something to represent druid or polymorph forms? Bestiary boxes are your best bet! They have a mixture of classic monsters and animals with beautiful art to match. If you are playing Pathfinder, each box's number corresponds to the bestiary book number so you won't have to guess whether what you're looking for is inside. Looking to split the difference? The Pathfinder Society Pawn Collection features several humanoid and creature options for your table. These correspond to the Pathfinder Society adventure, but can easily be used for any game. One of the best parts about these boxes is they come with stands that represent correct size foot prints from medium sized creatures on up to huge so you can be sure you're getting an accurate sense of scale even though each pawn is flat. Do you own any of these boxes? 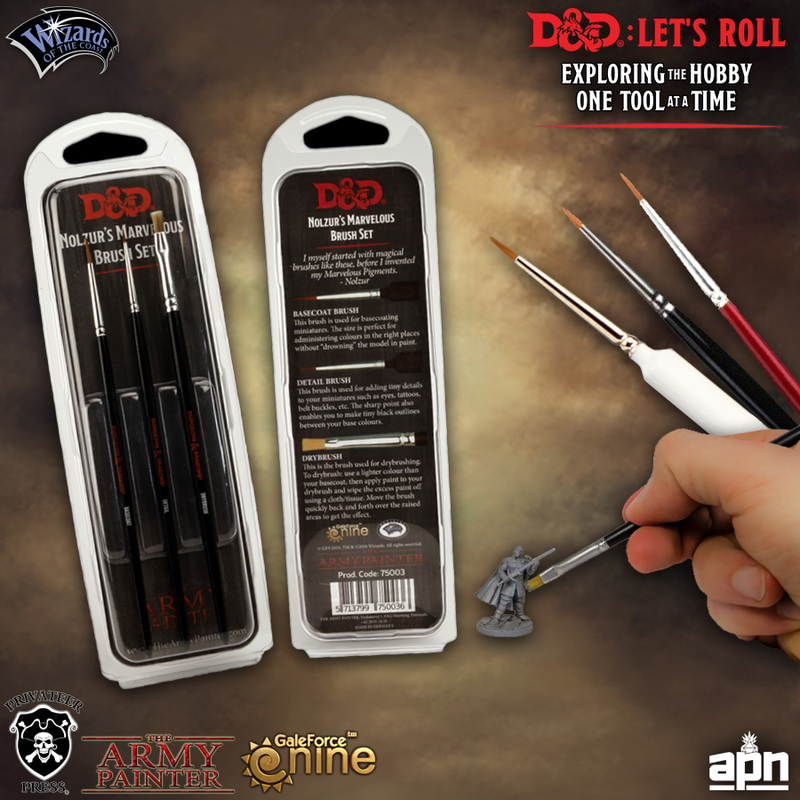 How are you using them in your games? Lastly, we'll round out our campaign breakdowns with a look at two adventures that take you to far flung reaches of the Dungeons & Dragons realms for a completely different experience. Leave behind the sunlit vales of Faerun and escape the Drow denizens of the Underdark - a maze of twisted gargantuan caverns where madness lurks around every bend and bioluminescent horrors lay in wait. Something truly terrible awaits you in the darkness where demons threaten to break through to the surface world. This adventure has been described as a subterranean “Wonderland-esque” chase. Support this adventure with a custom Rage of Demons DM screen from Gale Force Nine and figures for key characters from their Icons of the Realms line. Ride dinosaurs through the tropical jungles surrounding of Chult and discover the Tomb of Annihilation - a lethal catacomb of horrors and traps that will test bravery, skill, and cunning. Home to the classic Dungeons and Dragons villainous Lich, Acererak, this campaign was inspired by one of the all time best selling adventures: Tomb of Horrors. This adventure is non-stop action from the go with curious villains. 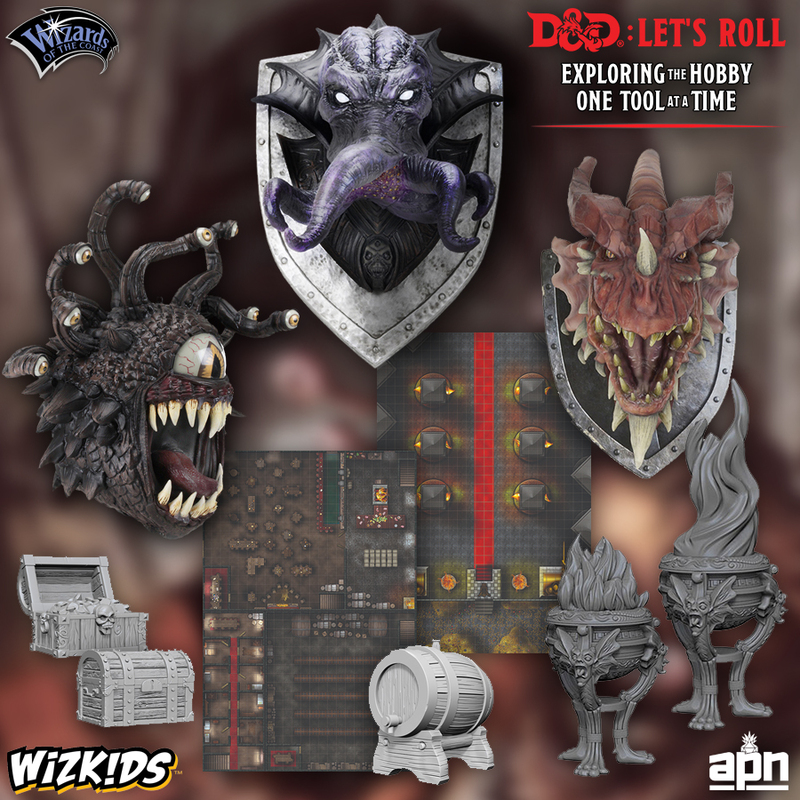 Support this dungeon delve adventure with a custom DM screen from Gale Force Nine and figures for key characters from their Icons of the Realms line.